Antwerp is the vibrant and trendy capital city of the Antwerp Province in Belgium. With rich historical significance, it has long been an important city in European culture. Today it is a mecca for art and fashion, and home to over 500,000 people. Attractions include Rubenshuis, Royal Museum of Fine Arts and the Diamond District. 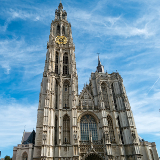 Cheap flights to Antwerp are now available for a limited period of time, so prepare to be dazzled by the stunning architecture and flamboyant artistry of this creative city! Antwerp is home to Antwerp International Airport (ANR), which is a 20-minute train ride, or 25-minute drive from the centre of the city. 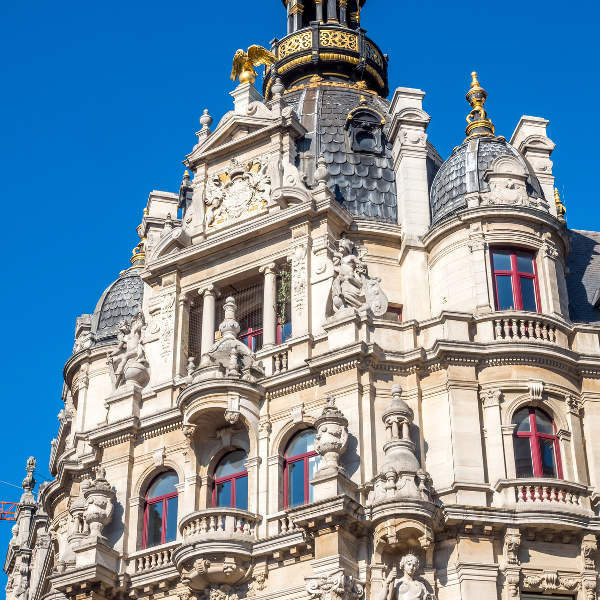 Antwerp’s splendid Baroque architecture is a sight to behold. Many buildings throughout the city have been well-preserved, retaining their unique design. With an array of quirky concept-art galleries, fusion food restaurants and boutique fashion chains, Antwerp has much to offer in terms of art, design and entertainment. Antwerp is an eclectic fusion of traditional European efficiency coupled with the laid-back attitude of the locals. Recent gentrification has added to the cosmopolitan culture of the city. Antwerp is at its busiest during the seasons of summer (June to August) and winter (December to February). In summer, the city gets flooded with visitors enjoying the gentle summer sun that is never too harsh, and in winter the city lights up with Christmas cheer and festivities. This is the ideal time to go, due to the flurry of summer and winter activities that take place, however tourist overcrowding can be a problem and booking in advance is a must. If you would prefer to see the city during a quieter time, then consider going in spring (March to May) or autumn (September to November). The crowds are fewer and the prices are lower, with many hotels and restaurants offering off-season specials. Commonly nick-named Belgium’s “Capital of Cool”, Antwerp offers a little something of everything when it comes to culture and lifestyle. 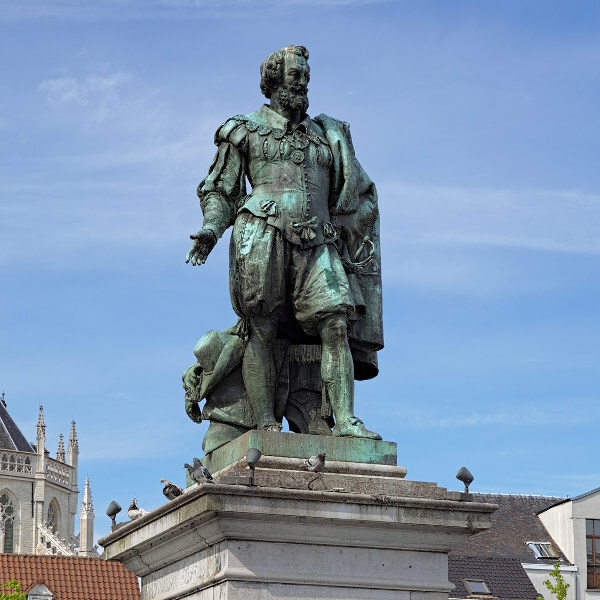 Located on the banks of the Schelde River, connecting to the North Sea, Antwerp’s geographical location helped it prosper and thrive in the Middle Ages, becoming one of Europe’s most developed cities thanks to its port trading. Surviving a Spanish revolt, a Dutch uprising and the ravages of World War One, the city has more than proved its resilience and ability to adapt. This is perfectly shown in the juxtaposition of historic architecture with its gentrified, modern ethos and lifestyle. 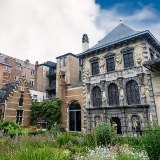 Known as an art and fashion epicentre in Europe, Antwerp is the home of the Royal Academy of Fine Arts, one of the most prestigious art schools in Europe, founded in 1663. 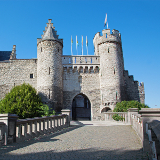 Compare several airlines and book your cheap flights to Antwerp online at Travelstart! Antwerp is an extremely safe city to visit, and incidences of aggravated crime are minimal. Be wary, however, of pick-pocket gangs that operate in busy areas like train stations and bus stops. These gangs are usually children who will split between distracting you and emptying your pockets and bag of valuables. Keep a close eye on your surroundings and the people around you. Report any suspicious individuals to the local police or security guards on duty. Bring certified copies of your passport and ID with you, in the event that they go missing. Antwerp is safe to walk through during the day, but be mindful of walking at night, especially in dimly-lit areas. Avoid walking alone at night, rather walk in a large group or catch a bus or taxi. Never leave drinks unattended in bars and restaurants. Antwerp’s extensive accommodation selection is spread throughout the city, and a range of hotels, apartments, inns, youth hostels and self-catering facilities are available. If you would like to centre yourself near the charming and historic attractions of Antwerp, then old town is the place for you. Within walking distance to famous attractions, guests will be spoilt for choice when it comes to culture and entertainment. 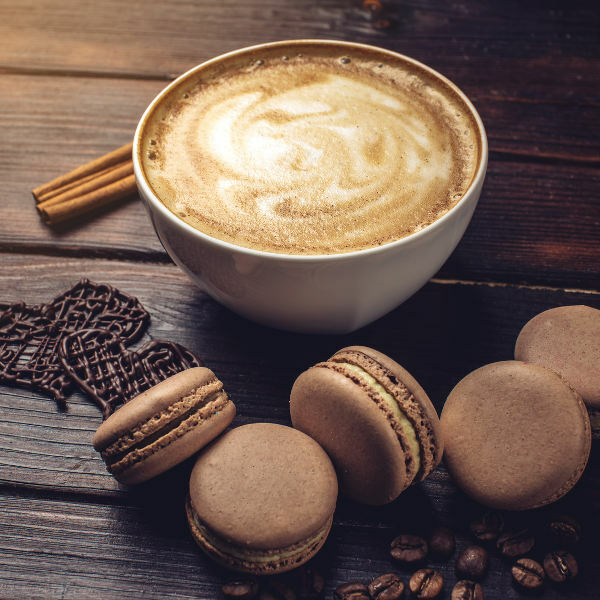 If you are seeking more ambience and better nightlife then head over to the trendy neighbourhood Zuid. Formerly an old museum district, the area has recently gentrified and undergone refurbishment. It is now a hipster’s paradise with dive bars, restaurants, cocktail lounges and nightclubs. Expect to find quirky youth hostels and hotels catering for young, thirsty travellers keen to be near the action. Antwerp’s public transport is extensive and extremely efficient when navigating the city. Local Belgian transportation company, De Lijn, operates a network of buses and trams that follow designated routes around the city. If you plan on using bus and tram facilities continuously then consider purchasing an Antwerp City Card, which allows full use of transport facilities for the duration of your stay. Bicycle hire is an extremely popular method of seeing the city, as it allows for greater appreciation of the city’s sights and sounds. Taxis are also available throughout the city, however they are generally rather expensive, so are best avoided unless you wish to access a destination that is not easily reached by tram or bus.